Pascal Gemme is a leading light in Quebec’s traditional music scene. Known as much for his original compositions as his fine interpretation of traditional tunes, Pascal is the fiddler, singer and arranger of the band, Genticorum, whose CDs have met with critical acclaim in several countries. The Gabriel Dubreuil Trio has been described as “fast-rising” (The Georgia Straight) and a “coup-de-coeur” (Radio-Canada/CBC). The Trio is a 'Swing-grass' group from Vancouver, British Columbia, Canada. 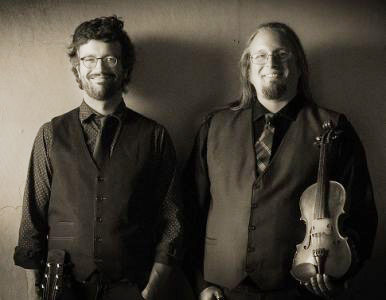 They bring an innovative fusion of music from the Celtic and North American fiddle traditions and Jazz to the stage. The trio is comprised of Jay Knutson on guitar, William Ross on bass and Gabriel Dubreuil on violin. The trio have just released their debut album "Back To Back Bay". Gabriel Dubreuil is a classical, folk and jazz violinist from North Vancouver. He has toured Canada, the United States and the UK with artists and bands from India, Israel, Scotland and North America. Dubreuil obtained his Bachelor of Music (2016) from the ground-breaking Berklee College of Music in Boston, MA, and works as a private educator and a studio musician. Dubreuil has performed and hosted workshops in venues ranging from Boston Symphony Hall, Brooklyn’s Jalopy Theatre, Club Passim and Vancouver's Festival Du Bois.